Below we’ll talk about what you should evaluate when choosing the best unit for your needs, exactly how units contribute to cost savings and why it truly matters to look at value and cost. It’s important to understand that every industrial solvent distillation unit is made up of the same basic components: a boiling tank, a condenser, some type of heat source, a controller and a program that runs it all. Size and add-on features typically differentiate one unit from the next. These features include—but are definitely not limited to—actuators, fill pumps and additional recovery tanks. Many of them are related to various forms of automation, and just like the overall unit, should be looked at through the lens of what value they provide. Major Consideration: What Volume of Solvent Do You Need Recycled? Major Consideration: How Much Does Your Solvent Cost? Major Consideration: Do You Need Continuous or Batch Recycling? Major Consideration: What Staff Is Required? Major Consideration: Do You Need Fractional or Simple Distillation? Major Consideration: What Safety Features Do You Need? Major Consideration: What Does Routine Maintenance Look Like? Your goal is to pick the machine with the combination of base features and add-ons that yield the best value and return on investment. This may seem like a daunting task, but it doesn’t need to be. What solvent or solvents do you intend to recycle and what’s the boiling point of each? What contaminant or contaminants are in the solvent? What contaminant or contaminants are you trying to remove/recycle the solvent from? Is there any water present? If yes, what’s the percentage of water present? What are the characteristics of the solvent mixture? What’s the percentage of solids? What are the volumes of liquids being processed and how often? What are the operating conditions (i.e., space limitations and proximity to other equipment)? What environment is the recycler operating in (i.e., temperature and airflow)? After you know what you need your distillation unit to do, it’s crucial to consider the direct and indirect costs—and savings—associated with it. There’s a lot to consider. The volume of solvent you need recycled: Knowing the volume of each type of solvent(s) you need to recover will help you determine both the type and size of the machine you need. If you’re only going to recycle some of the industrial solvents used in your facility, understand that there are costs associated with waste removal—even beyond paying for it to be physically removed from the premises. The more waste you produce, the higher your EPA waste generator status. This distinction essentially means that you may pay more fines, have greater compliance implications and, thus, increased administrative costs. The cost of solvent: While your total solvent cost will ultimately depend on how much solvent you need recycled, what type of solvent you use will have just as much of an impact—if not more. For example, acetone and toluene, which are commonly used solvents in everyday industrial applications like parts washing, are generally inexpensive. But certain engineered solvents, like fluorinated solvents used in advanced industrial applications like stereolithography (SLA 3D printing) and aerospace, can be very costly. These engineered fluorinated solvents tend to evaporate very quickly, so recycling them and “closing the loop” to ensure they aren’t exposed to air greatly benefits yield. Solvent cost is potentially the most important of all cost considerations. The more expensive the solvent is to purchase, the more compelling the idea of reclaiming it for future use. Whether you need continuous or batch recycling: Continuous recycling is that which requires little manual intervention because it’s built into a process through automation. For example, fill sensors in a distillation unit would trigger an actuator and then a pump to automatically fill a machine with a dirty mixture from a parts washing machine. Once the unit recovers the clean solvent, the solvent would automatically be deposited back into the parts washer, saving you labor cost and time. Batch recycling, on the other hand, is that which involves standalone machines that aren’t incorporated seamlessly into a process with automation. At CBG Biotech, we generally see continuous recycling (i.e., that with automation) shave six months off of a customer’s payback period, or the amount of time it takes to recoup the initial cost of a unit. This is largely because of the additional labor cost associated with batch recycling. To put it another way, with automation, customers are typically able to recycle enough solvent within 12 months of a unit’s purchase to completely realize the return on their investment, versus the average 18-month payback period for customers with batch-recycling applications. What staff is required to run the equipment: Even though increased labor costs considerably affect a machine’s payback period, the daily labor required to operate an industrial solvent distillation unit is nominal. Assuming a unit is run every day, it’s going to take about an hour of one employee’s workday to run it. Whether you need fractional or simple distillation: If you need to consistently recycle two or more solvents and/or a combination of organic materials using the same unit—and there’s enough of a difference between their boiling points—a fractional distillation unit is the required option. Simply put, fractional distillation is the process that allows multiple solvents or organic materials with different boiling points to be recovered from the same waste stream. A fractional unit is typically more costly than a simple distillation unit because it’s a more advanced piece of equipment that requires additional components. What safety features you need: Experienced manufacturers of distillation units will deliver machines that are UL certified and include the appropriate automatic safety shutoffs. These include fill-level sensors that shut a unit off if liquid levels are too high and RTD sensors that shut a unit off when its internal temperature is too hot. If you work in a C1D1 location that contains ignitable concentrations of flammable gas or vapor, you’ll need a unit that’s equipped to operate in this environment. C1D1 machines are typically more expensive than C1D2 machines. As is the case with C1D1 machines, additional safety features will cost more. It’s always important to talk with the distillation unit’s manufacturer to discuss which safety features come standard with a machine. What routine maintenance looks like: It’s a good idea to establish a quarterly maintenance regimen, which, on average, will cost about 5% of the total unit’s initial price per year (the more expensive a unit, the lower this percentage). CBG understands that the cost of maintenance often comes from a different budget than that of the initial purchase. However, routine maintenance should be considered at initial purchase—because keeping your unit running at its most effective and efficient will save you money in the long run and yield optimal results. How extensive your routine maintenance regimen is and how frequently it needs to occur will depend on how often you run your unit. Generally, it’s recommended that the thermal oil used to heat a unit be replaced after 1,000 hours of operation. Thermal oil is the single largest maintenance expense. The second largest expense is the purchase of hot flush cleanser, which breaks down the oil that becomes carbonized on the unit’s heating elements. And the third largest expense is the replacement of seals that ensure a unit’s lid fits securely and tightly. These should be replaced every six to 12 months. 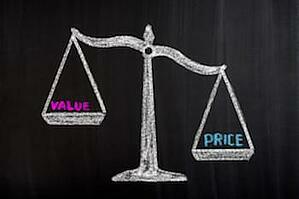 A unit’s value should outweigh its initial cost. And the reason for this is simple: the right unit will keep your facility’s recurring costs down and the quality of its deliverables high—both immediately and in the long term. In fact, on average, the cost of a CBG industrial unit is completely recouped within six to 18 months after initial purchase. 1. Solvent-spend savings: When you become your own solvent supplier, you’ll be able to dramatically reduce how much solvent you purchase. 2. Waste-collection savings: Payment for collection services to transport waste off-site and incinerate it will be reduced. 3. Labor savings: Direct labor will be reduced, especially if your unit is automated. Your operators will spend less time handling and moving solvent and direct labor time will be improved. Indirect labor savings will come from lower administrative costs associated with the procurement of supplies as well as on the documentation management tied to the internal collection of waste and externally having a higher EPA waste generator status (this isn't even accounting for the additional fees associated with the higher waste generator status). 4. Quality-improvement savings: When parts and products are cleaned more effectively with clean solvent, there are fewer rejections, which means your facility becomes more efficient and you can get parts and products to your customer faster. 5. Maintenance savings: Running machines with clean solvent results in fewer equipment breakdowns and huge savings of cost and time. Are you ready to see how much your facility could save with an industrial solvent distillation unit right now? Check out our free Cost-Savings Analysis Calculator or contact us today to learn more.